I do love luxury cosmetics, they don't all compare to middle of the road brands to be perfectly honest but most are really quite amazing at delivering the wonderful promises they make. I find most mascaras to be crap, really freakin' crap. They claim, they fail, they take my money and annoy me. 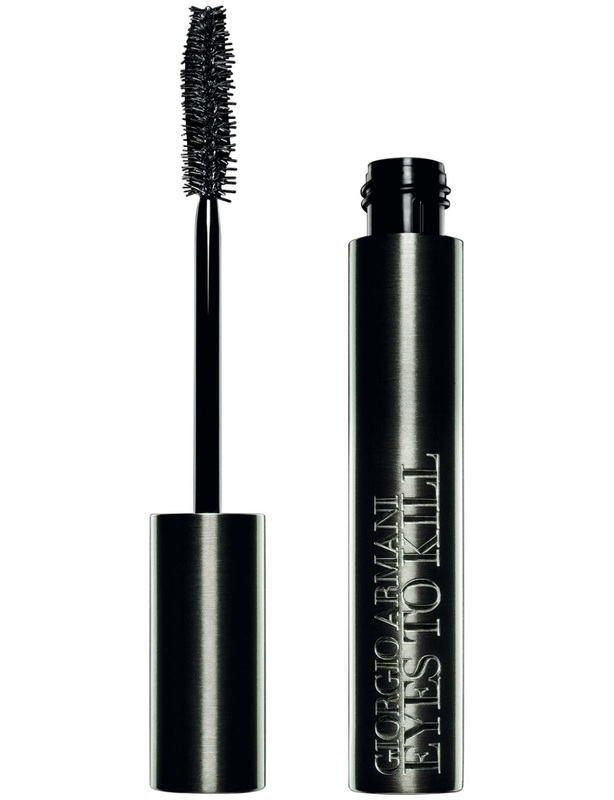 Giorgio Armani - Eyes to Kill mascara in Steel Black. Go to the Giorgio Armani website and the description of the item is cut off.. Really Armani? C'mon, sort it out. My personal experience with this mascara has been pretty damn awesome. It lengthens, defines, volumises and stays put which is basically what I look for in a mascara. I do find it clumps once in a while but an extra swipe with the applicator sorts that out if it does happen. The application is so smooth too, I just love how it glides on, a little wand jiggle at the base of the lashes and a swipe or two over the lengths is all I need for a good application for a day time look and if I'm wanting something a little more full on 2 or 3 coats gives me almost ridiculous length for a night time look. Only downside is it can be difficult to remove, but really that's kind of a good thing. I find the best method is to rest a cotton ball with makeup remover on the lashes for a few seconds and then wipe away rather than trying to scrub at the lashes which is going to be detrimental to their health. Anyway check out the photos and judge for yourself. This stuff retails for $55.00 AUD at David Jones and Myer and don't forget that you can pop over to one of their counters to try it out before you buy, the sales assistants will be happy to show you the product and apply it so you can get a feel for what the product is like. Reach for the brows little lashes.. Reach!!!! Right up there with the best mascaras I've every tried. Worth the price IMO, too many crappy mid range mascaras out there. You'll feel and see the difference. Lives up to it's claims. Ticks all the basic mascara boxes; lengthens, defines, volumises and long lasting.